Great rooms, great prices and a good night's sleep too. Check in was very easy with clear communication.. Apartment was spacious and very clean and tidy. The space was good and the bathroom was really nice. Nice that there was a small welcome pack and spare shampoo. It’s a great place to live in. The kitchen has everything we need for cooking and the view is nice. The most important thing is that the manager and staff here are so nice. Definitely will come back if have a chance. The kitchen was well equipped and apartment was large. 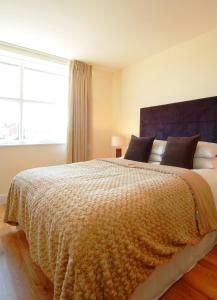 Lock in a great price for Reading Serviced Apartments – rated 8 by recent guests! 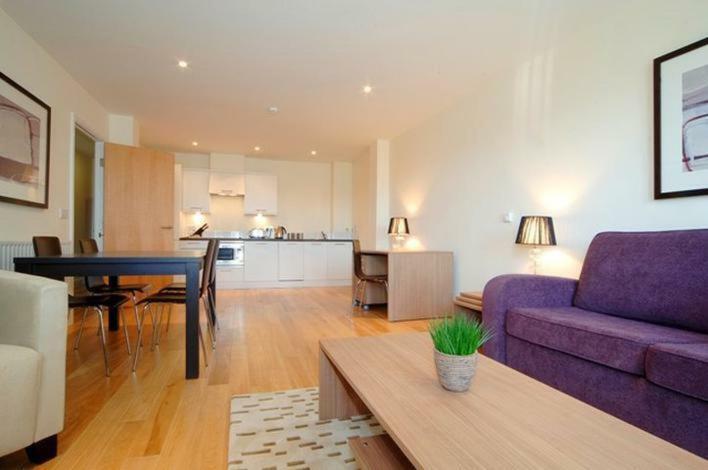 Reading Serviced Apartments This rating is a reflection of how the property compares to the industry standard when it comes to price, facilities and services available. It's based on a self-evaluation by the property. Use this rating to help choose your stay! 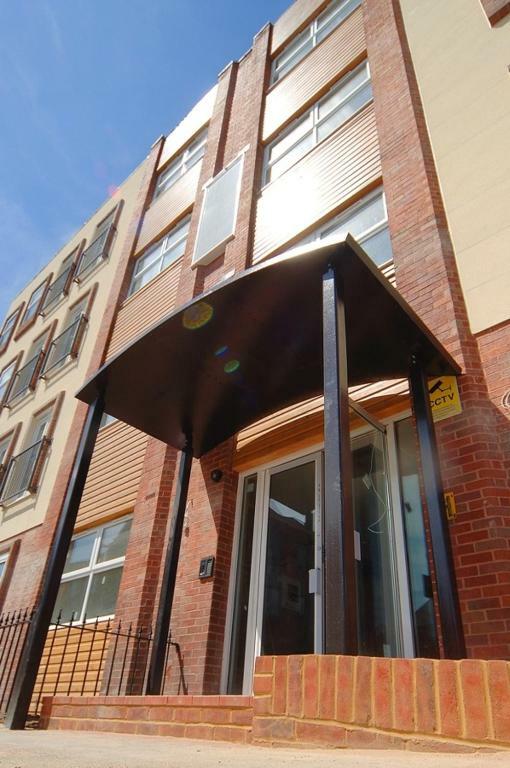 One of our top picks in Reading.Located in the center of Reading, these stylish and contemporary one and 2-bedroom apartments have spacious open plan living areas and are ideal for business and leisure stays. 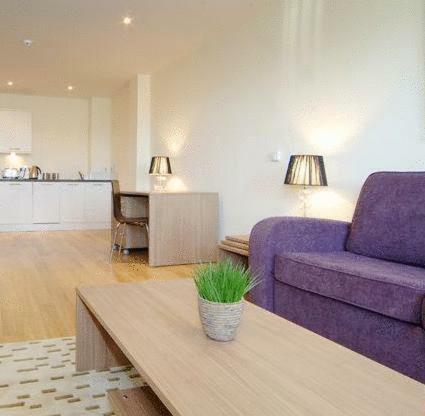 The apartments offer an environment as close to home as possible. They feature free WiFi, a modern kitchen and a bathroom with a power-shower. Some of the 2-bedroom apartments have private bathrooms. Reading Town Center has a wide choice of restaurants, cafés and bars. Reading Station, The Broad Street Mall and the Oracle Shopping Center are just a 3-minute walk away. London Paddington is accessible in just 25 minutes and London Heathrow is 25 miles away. When would you like to stay at Reading Serviced Apartments? 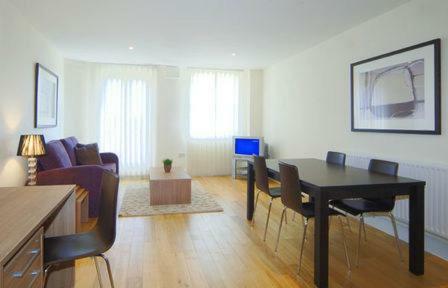 One-bedroom apartment with large dining and living area. 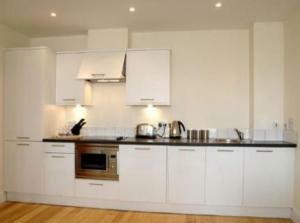 The fully fitted kitchen comes with integrated appliances. A queen-size bed is provided, with cots and extra beds available on request. 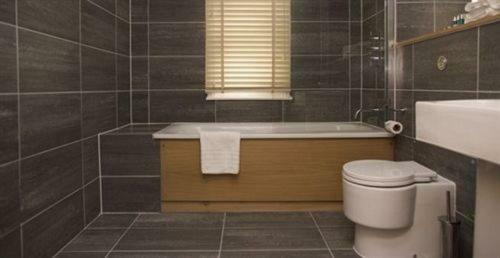 Two-bedroom apartments offer a bathroom, a separate dining area, with separate access off a hall, giving the apartments a spacious feel. Fully furnished 2-bed apartment featuring a fitted kitchen, 2 contemporary bathrooms, a living area, master bedroom with a bathroom, and a guest bedroom. Features a flat-screen LCD TV, open-plan studio with seating and dining area, and small fitted kitchen with a washing machine and dishwasher. 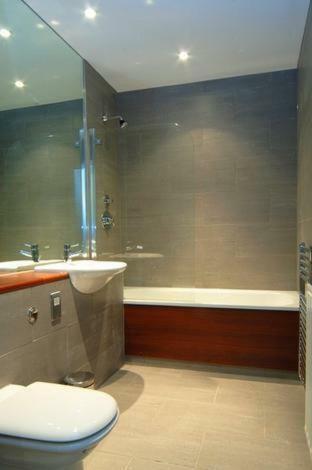 House Rules Reading Serviced Apartments takes special requests – add in the next step! Reading Serviced Apartments accepts these cards and reserves the right to temporarily hold an amount prior to arrival. Please contact the property at least 1 day prior to arrival for access instructions, if you have not received them promptly after booking. SACO – The Serviced Apartment Company will take full payment for your accommodations at the time of booking and confirm your arrival details at the property. Upon check-in, guests are kindly required to show the credit card used at the time of booking and a valid photo ID, such as a driving license or passport. A refundable security deposit /pre-authorization to cover “additional charges “, including breakages, damages, extra cleaning and further accommodations charges incurred during your stay, may also be taken and you will be advised whether this is payable in advance or on arrival. The amount will vary on the size of apartment you have booked. Reading Serviced Apartments consider a group to be three apartments or more being booked in the same city for similar dates. When making a group booking full payment will be required at the time of booking and this is nonrefundable. A security deposit, as above, will also be required for each apartment booked. 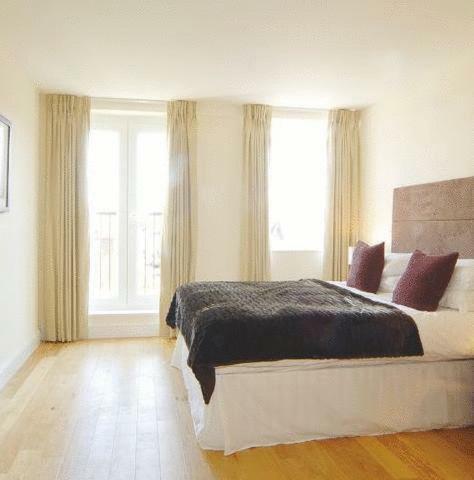 The property are unable to guarantee that all apartments booked will be in the same building. Credit card details must match the security checks. Property management may pass your debit/credit card details to a third party to process any payments. The cleanliness didn't meet my expectations. I have to clean myself that took my time. I should have been given a discount hopefully I will get when I return. Two bedrooms apartment was really good. Needed another sofa a 2 seater sofa was not enough for 3 people. The doors need to have the stoppers fixed as doors bang when closing. The blinds where all tangled and twisted and full of dusty dirt. Apart from that the setup was great big and spacious. Mattress was too soft for our liking. Light in stairwell was broken and hard to see steps without it. Comfort of the bed and sofa Also being told to go to the wrong place had a disastrous start to my stay. As this was through booking.com it is unclear where codes to enter the flat are shown. very little, sofa needs replacing and is looking a bit shabby. Apartment complex felt a little isolated and did not feel safe venturing out alone after dark. Would have been ok if Id been in a group but was alone. Was woken by VERY noisy neighbours at 11pm and ended up sleeping in the lounge room at 2am due to the noise. I was in apartment 24. It felt like student accommodation. The flat smelt of smoke, the sofa smelt and was tacky to the touch. it was a ground floor flat on the main road and unfortunately workmen started digging up the road at 1:30am which meant no sleep for me. I didn't see anyone so can't comment on the hosting.